Evolving with today’s demands for lifestyle-incorporated vacations, Le Grandeur Palm Resort Johor is repositioned to provide an integrated experience of comfort, luxury, business, recreation, spa, golf, adventure and so much more – promising a concept of leisure, re-defined. 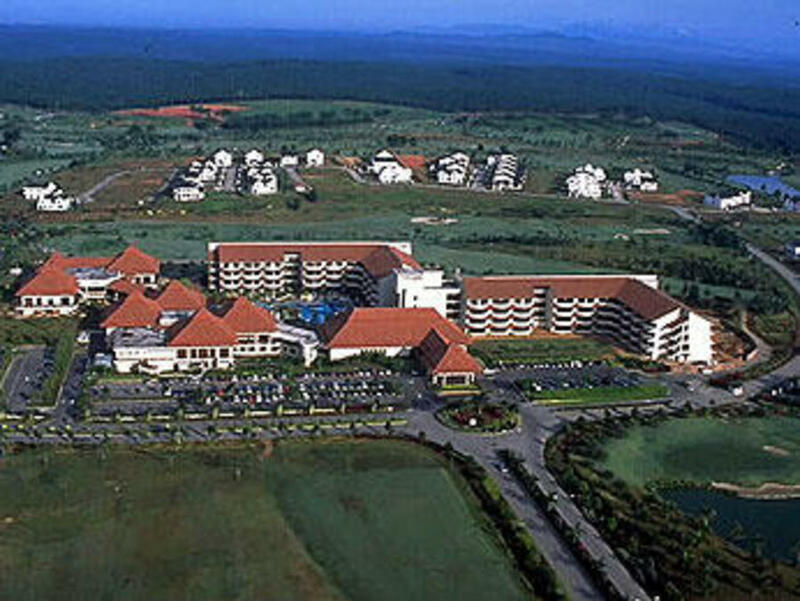 the resort, and on the way to reach the Iskandar Region of Development which is the state’s muchpublicised centre of commercialism. Venturing into city is via one straight smooth drive of 30 minutes. 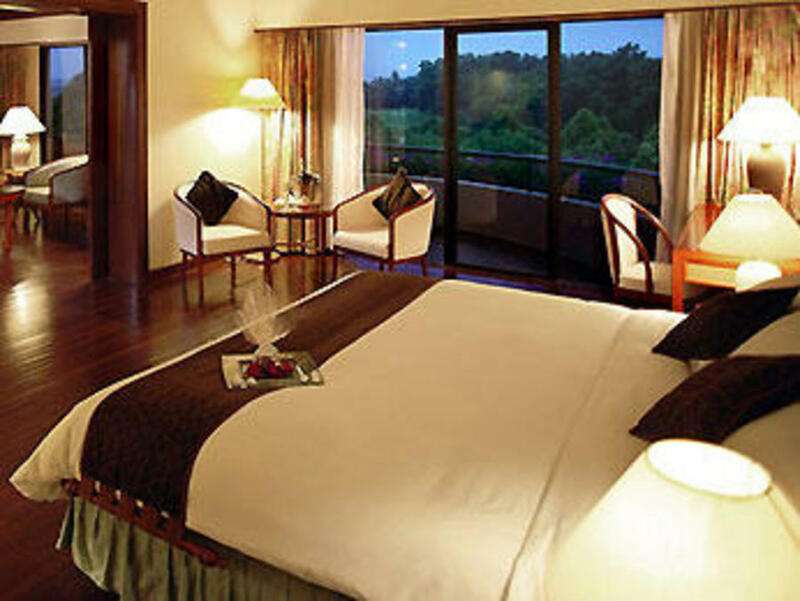 At Le Grandeur Palm Resort Johor, there is much to discover and to endeavour, while fulfilling the aspiration of Le Grandeur hotels to provide luxurious accommodation that is combined with gracious hospitality. Grandeur juxtaposed with comfort is what makes staying in any of our 330 rooms a pleasurable experience from check-in to check-out. We offer not just a stay but an experience and therefore you will find rooms and suites with views of either thegolf course, the swimming pool or of lush tropical gardens savoured from balconies of bougainvilleas. Within, space distinct and our large, signature beds define. The bathrooms embodying luxury with marble and en-suite glass shower cubicles, invite with a plethora of amenities that spells rejuvenation after an eventful day. Further, in-room facilities are expansive with a mini-refrigerator and bar, tea and coffee making facility, multi-channel television and radio, bedside electronic control device, safe deposit box, hairdryer, bathrobe, slippers, international direct dialing telephone service with extension in the bathroom, iron and ironing board upon request, 24-hour room service, and wireless broadband internet access. Beneath the eaves of a typical Malay thatched-roof pavilion reaching out to the poolside, the Grill at Cocomo is the ideal setting for specialty teas, coffees, signature cakes and pastries by day and an engaging venue for barbecues, buffets and fine dining by night. The breeze flushing in from the poolside provides an incessant accompaniment. 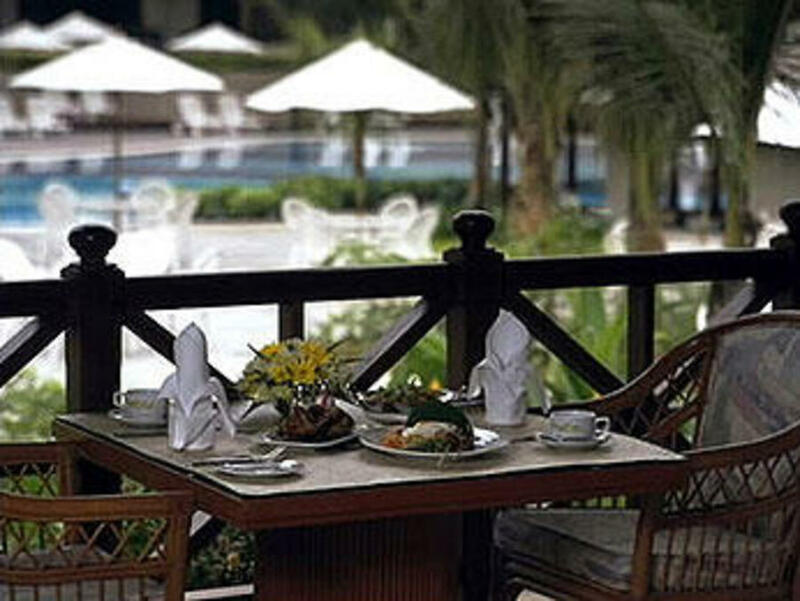 A charming enclave with a terrace overlooking the pool, in a rustic yet elegant ambience of wood and warmth. The brasserie invites with a exhaustive array of buffets - from breakfast, lunch to dinner – enhanced with occasional live cooking featuring hot Asian and local delicacies, or beckons with a fine selection of a’la carte offerings from the menu. The garden surrounds provide a placidity that is alluring. Literally translated as the Dragon of Johor Bahru, the Chinese cuisine here offers a choice of eithertraditional or with a touch of creative fusion with other regional cuisines – little wonder that it prevails over the taste-buds of many who have become regulars. The signature dishes delivered in contemporary Chinese environs, but hosted with traditional Chinese warmth provides an irresistible dining experience. Be enamoured by the tempting Japanese cuisine that is true to the tradition, complete with a sushi bar, teppanyaki live-cooking counters and tatami rooms for complete privacy. Uncompromised in food and beverage quality, unpretentious in service and surroundings. Unmistakable in reputation. The very place to meet and to be met; to catch up on the latest, to quench the thirst or to satisfy hunger urges. Located strategically at the concourse, the Bar becomes alive in the evenings with an entertainer or two to belt out soothing strains or heated tempos. The open ambiance of the Bar with its high wooden rafters is where one is at peace with the lush environs. Literally the watering hole, the Turquoise Poolside Bar is the isle of refreshment within the free-form swimming pool to wind down with a long cool drink or a sandwich after watery exertion or while soaking up the sun. We serve both leisure and pleasure – the ultimate vacation. Meetings, Incentives, Convention and Exhibitions. 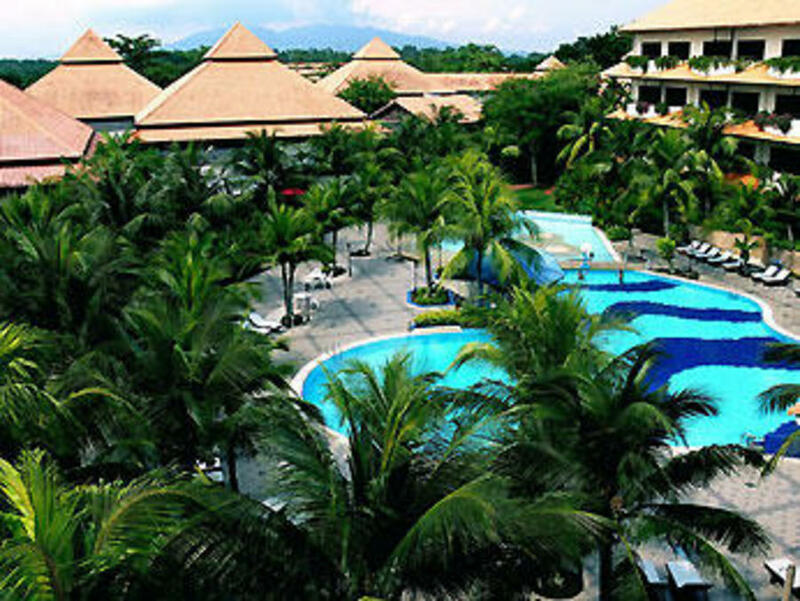 These very terms express the versatility in which Le Grandeur Palm Resort is able to render in terms of space, capacity, facilities and capabilities for functions from as small as 12 persons in a seminar to as extensive as 1500 people in a cocktail reception. With a total of 30 function rooms that are easily-converted and outfitted with wireless broadband internet services, we are able to cater to varied demands for meets, banquets and conventions. You may choose to impress with a candlelit buffet dinner by the Olympic Pool, with entertainment on a purpose-built floating stage. We are trained to serve with creativity. Therefore you can task us with theme parties, barbeques, teambuilding events, telematches, golf tournaments, garden parties, etc. - all executed with relish, from start to finish. We pride ourselves as an integrated resort with so much to do, and so much to indulge until the moment of departure. Indoors within the sports and leisure centre, there is an 8-lane bowling alley, a Kid’s World playground, squash courts, rental of bicycles, dartboards, billiards/snooker, table tennis, board games and a mahjong room. The outdoors are endowed with 4 tennis courts and a lawn court for anything from futsal, volleyball, netball, athletics and teambuilding activities, telematches to outdoor aerobics, which can be conducted by our sports and leisure team upon request and with pre-arrangement. An Olympic-sized swimming pool majestically graces its compound. At the hotel, the gymnasium is where the quest for fitness can be satiated, after which a dip in the bubbling Jacuzzi or a sweat-out in the Sauna will re-charge both sense and soul. Venture into the specialty village and have the fun of a lifetime. Wrangle in activities that will pump up the adrenalin with friends or colleagues. Pit it out at Paintball, Raft-building, or test your marksmanship at the Sniper Range with crossbows and blowpipes, while trailblazing through the surrounding wilderness either on foot or on an ATV (All-Terrain Vehicle). For recreation that is less physically demanding and more therapeutic in nature, the Le Spa is the quintessential sanctuary to retreat into amidst the palms and landscaped gardens of our little Balinese villas. Step within its threshold and you will discover the true meaning of being pampered from top to bottom, with massages, therapies and treatments to rejuvenate the mind, body and spirit. There are foot baths, body, neck and shoulder massages as well as facials using natural ingredients and pure essences to effect the ultimate indulgence. Yet another way to while away extraneous moments is at the Samsarra, a little boutique where one will find surprising offerings of Malaysian-styled trinkets, souvenirs, snacks, sweets to toiletries – great for those who have little time to spare to shop for gifts or to pick up the necessities. The concierge and limousine service counter at the lobby are manned by professionals who will be able to make travel, tour or your requirements of transport, an easy effort regardless if it is aimed at places of interest, to the city centre, across to Singapore or just to the airport nearby. Tour Johor Bahru and its gorgeous Principal Palace!